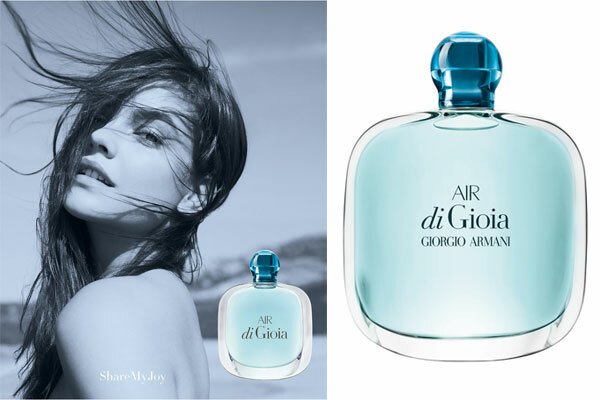 Air di Gioia by Giorgio Armani - A floral chypre fragrance for women. A new delicate summer version of the original Acqua di Gioia perfume "that expresses the delicate scent of the Mediterranean breeze." Launched in April 2016 with Sun de Gioia and available in an eau de parfum spray. The fragrance campaign features model Barbara Palvin. Package Design The original Giorio Armani Acqua di Gioia bottle in a teal hue.